From time to time, I will update this post as to the responses for my Golden Rectangle Experiment. Before looking at the graph below to see how the research is going…make sure your vote. Go ahead, I'll give you a second…go back to this post and vote. 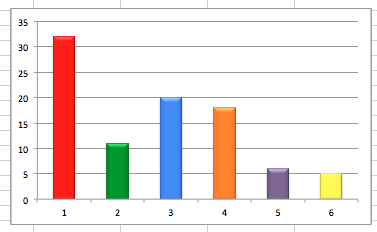 91 people have voted and here is a chart to represent the results of the voting. 224 people have voted and here is a chart to represent the results of the voting. This is an experiment that deals with the Golden Ratio. I am not going to explain anything about the Golden Ratio here. 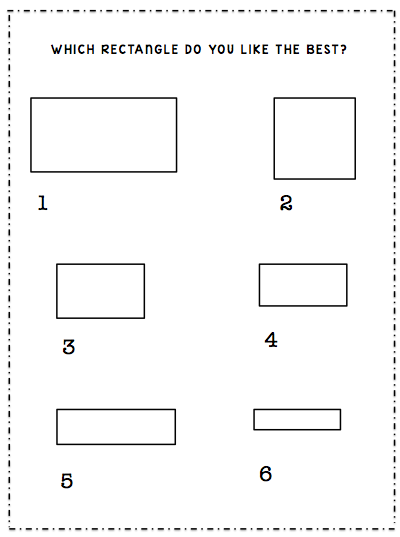 I just want to know, which of these rectangles is your favorite? And, if you wouldn't mind typing in your zip code, I sure would like to know where I am getting votes from. I will add another post soon so you know which rectangle is winning! 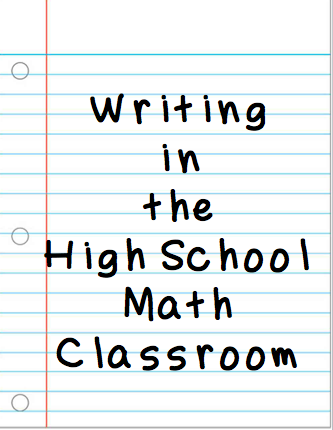 Writing in math class…wait you're going to give us a grade on how well we write… this isn't English class!!! It is seriously astonishing how poorly my students (and maybe your students too :) can explain things that they have learned in math class. 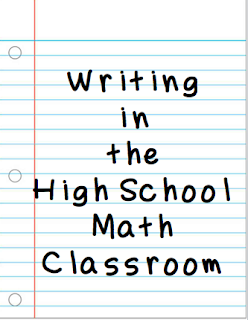 Even when I think I have explained things UNBELIEVABLY WELL I have been discouraged to find that my students can't explain or sometimes even write a coherent sentence about the given topic. 1) Read the question. Circle keywords, underline important vocabulary, put a box around the question - whatever marks help you understand what the writer of the question is asking about. 2) Graph the coordinates or sketch a picture. I can't believe how many students don't graph points when they are given. I don't tell the students that they have to graph each point exactly or get out a piece of graph paper, but just draw a quick sketch so you can at least tell what quadrant the points are in! If the problem doesn't give any coordinates, sketch a picture of what the problem is talking about…pictures are worth 1000 words! 3) Show the math, do some algebra, set up some calculations. This is math class after all, so you probably are going to have to do some math to explain what is being discussed. In this step I try to encourage students to SHOW ALL THEIR WORK so that can reference it in the next step. 4) Finally, make connections between the question and step 3. Explain how your algebra or other calculations show that your explanation is correct. I tell the students that they should have had a hypothesis about what was going to be true from the beginning of the problem. In this step, they are explaining why their hypothesis is correct based on their calculations. This step trips students up because they forget to connect their calculations. I don't know about you, but with standardized testing going more toward this type of question, I know we need to work on it! Last year my students to the Aspire test for the first time and I know they were completely unprepared for the writing types of questions. Definitely a new thing to work on! I have several resources in my TPT store that may help you with this type of activity.